Last year, I had put together an outline for a proactive model to engage citizens for public governance using information technology while ensuring the model doesn’t ruffle too many feathers in the pragmatic public administration that generally loves status quo. The presentation, linked below from this article, was put together at the request of senior officials of the Punjab government and proposed the creation of a Punjab Citizen Relations Bureau to centrally manage citizen relationships with the government through a one window operation that improves citizens’ access to public services and departments. At the time, since the government had just a couple months left before dissolution for the general elections, the project got put on the back burner. Instead a scaled down version based on Zubair Bhatti’s Jhang Model was implemented by Punjab Information Technology Board and rolled out in several districts of Punjab. 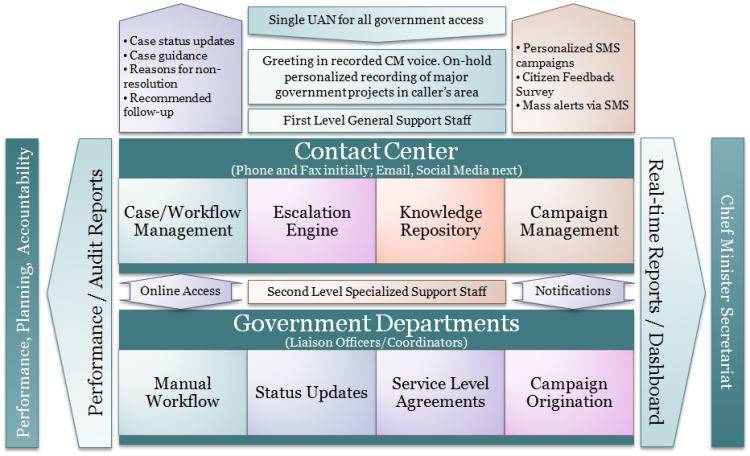 The high level context diagram for managing citizen relationships with the government is depicted in the graphic below and more details can be found in the linked presentation. I would like to be a part of this.